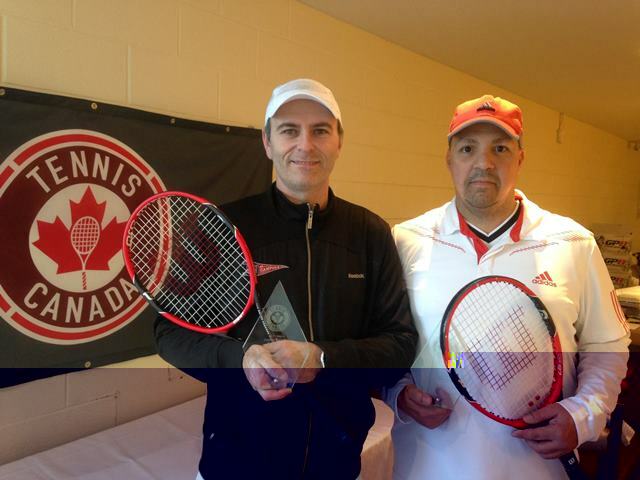 Glenn Ryan (left) who is a member of our club’s Tennis Team in the Toronto Winter Tennis League Men’s Major Division and our Director of Tennis, Mike Thomson (right), were the 45 and over Doubles Champions in the 2015 Senior Men’s Eastern Indoor National Championships held in Toronto at the Donalda Club. 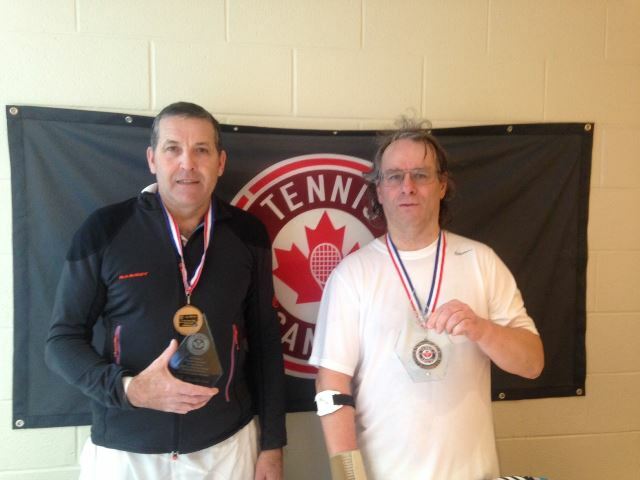 Fraser MacDonald (left) who is Captain of Canada’s Gordon Trophy Tennis Team and our Club Manager, Owen Pellew (right), were the winners of the 2015 Senior Men’s Eastern Indoor National Championships 55 and Over Doubles. The event was held during the 1 week school break in March.